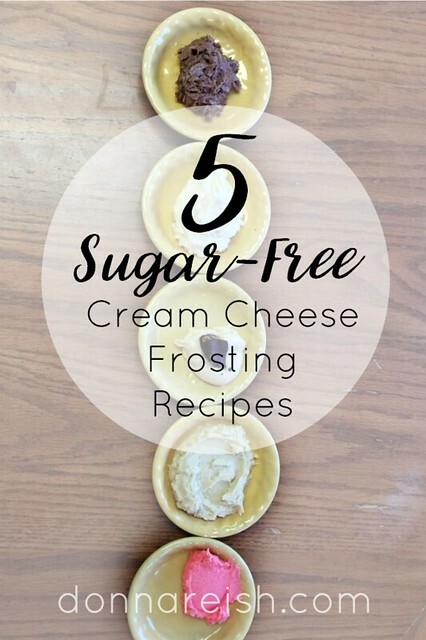 One of the low carb, sugar-free treats that I have not enjoyed is the many frosting recipes that are out there. Combining Pyure (or other sugar-free, healthy sweeteners) with butter hasn’t yielded a good taste in my opinion. I feel like the sweetener overpowers the frosting—and you can really tell that it is not powdered sugar in there! So…in keeping with my theory of diluting the less-familiar (and maybe less desired) tastes in my recipes, I have been toying with cream cheese frostings for two years now. And I’ve made it! So here they are…all five of them! The vanilla is perfect for any white frosting—even “pipe-able”! The peanut butter is….oh my! And the chocolate is light and not too chocolaty. The maple is amazing on cinnamon rolls. 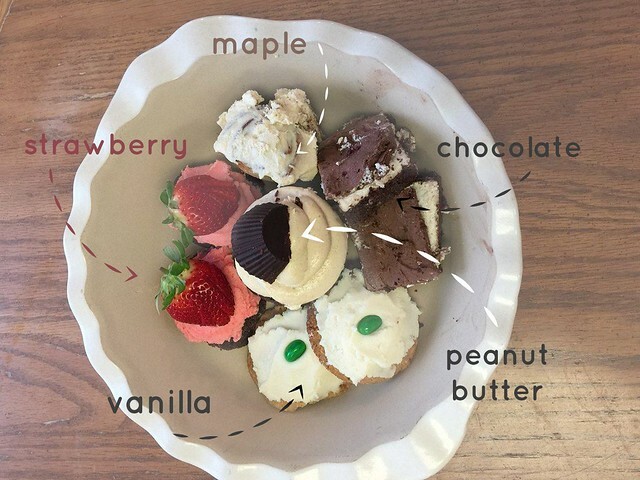 I prefer the strawberry on white cake or sugar cookies, but many will like it on chocolate cookies or cupcakes (as pictured). Oh, and there’s an optional ingredient. If you love those frostings at bakeries that taste like part icing part whipping cream, you might try adding the Optional 8 to 16 ounces of whipping cream. Makes a different frosting entirely. ⅓ to ½ cup powdered Pyure* (or Gentle Sweet or Homemade Pyure or other stevia blend)*or double a cup-for-cup sugar substitute. Powdering instructions can be found here. Fold in recipe cream cheese base a little at a time. Add more powdered bulk sweetener as needed. Optional: Fold in Cool Whip (or whipped whipping cream) until fluffy. ⅓ to ½ cup powdered Pyure* (or Gentle Sweet or Homemade Pyure or other stevia blend) *Or double a cup-for-cup sugar substitute. Powdering instructions can be found here. 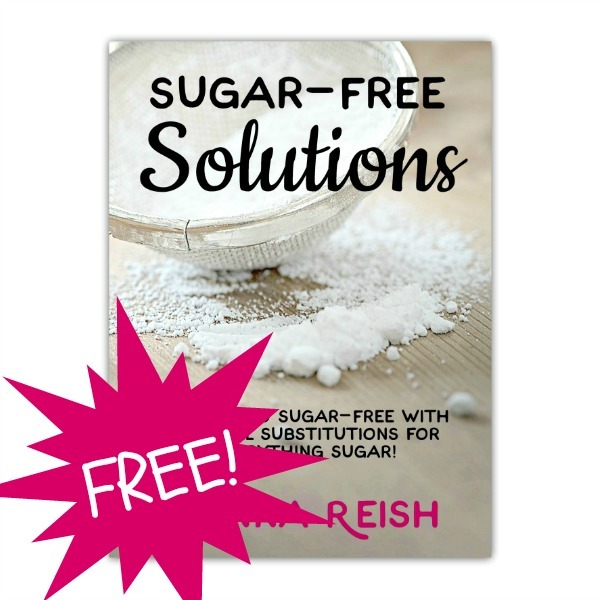 Add more powdered bulk sweetener as needed for bulk and flavor. Optional; Fold in Cool Whip (or whipped whipping cream) until fluffy. Whip in extract. Taste and adjust. 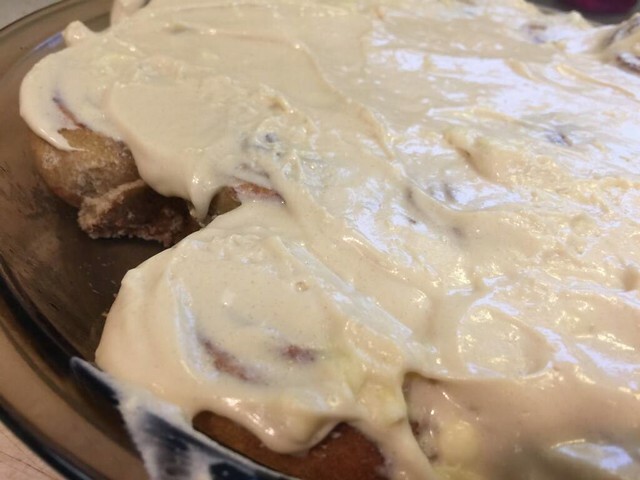 Maple frosting is perfect on low-carb cinnamon rolls made with Sprouted Flour Mix. ⅓ to ½ cup powdered Pyure* (or Gentle Sweet or Homemade Pyure or other stevia blend)*Or double a cup-for-cup sugar substitute.Powdering instructions can be found here. Whip in extract and molasses. Taste and adjust. Add extract. Taste and adjust.